Walidah Imarisha was the keynote speaker at Portland State University’s annual MLK Jr. Tribute on Jan. 22, 2018. Last summer I got the chance to meet Walidah Imarisha, a Black Studies scholar and author, at the 2017 Oregon Book Awards. A friend invited me to attend the event and we chatted with Walidah in the lobby as she received congratulations from well-wishers. I left with an autographed copy of the book, “Angels with Dirty Faces,” and the hope that I would have a chance to run into her again. That opportunity came Monday night at Portland State University. Walidah was the keynote speaker at the university’s annual Martin Luther King Jr. lecture, an event that filled a ballroom on Jan. 22, one week after the holiday commemorating King’s birthday. Walidah Imarisha weaved several references to science fiction into her Jan. 22 speech at Portland State. With an elegant Afro reminiscent of Angela Davis, Walidah alternated between the language of academia (“postcolonialism”) and everyday expressions (“nerding out” and “y’all”). Mix everything together and the product was an entertaining, informative speech that made me glad I had read her book beforehand. “Angels with Dirty Faces” is an eloquent critique of the U.S. criminal justice system. Ten years in the making, it’s a nonfiction book that begins with an array of statistics that paint a depressing picture – that of a country that incarcerates its citizens, particularly its black and brown ones, at a rate far greater than any other nation. 70 percent of those incarcerated are people of color. The majority of people in prison are there for nonviolent offenses. The vast majority were never tried in front of a judge. Over 90 percent of people in prison took a plea bargain. And so the book is presented as “three stories of crime, punishment and redemption,” with chapters devoted to a black inmate, a white inmate and the author herself. One inmate, Kakamia, is Walidah’s adopted brother, serving a 15 years-to-life sentence for being involved in a murder when he was 15. The other is Mac, an aging Irish mobster who worked as a hit man for the Gambino family in New York. Turns out the two men befriended each other while doing time together in a California prison. Walidah tells their stories with empathy, not to excuse their criminal acts, but within the context of a bureaucratic system that dehumanizes the men and women who populate our nation’s prisons while also needlessly erecting petty barriers that make it next to impossible for visiting family members to connect meaningfully with their incarcerated spouses, children, parents and siblings. It’s not a pretty picture. Walidah attacks the institutional racism that drives incarceration at starkly different rates for white and black Americans. In telling her own story, Walidah recounts her childhood as the daughter of a black father and white mother, growing up on military bases overseas and eventually, at age 13, settling in Springfield, a conservative blue-collar town adjacent to liberal Eugene, home of the University of Oregon. The overall approach – to put three faces on the criminal justice system – works well in driving the narrative. What could have been another academic treatise on a broken system instead becomes a compelling tale of two men – one black, one white – and a woman who is at once a scholar, an activist and a prisoner’s family member. Knowing Walidah’s personal story and worldview ahead of time made it easier to ponder the provocative questions that she raised in her MLK speech: What is the kind of world we want to live in? How do we go about building that kind of world? “Science fiction is not about escapism,” Walidah said. It is about envisioning a world of new possibilities free of militarism, capitalism and racism, she said. As I am not a fan of the fantasy genre, I had never thought of science fiction as a way to frame the idea of imagining a different, better world, especially when it comes to race relations. Walidah Imarisha invoked the words of the late fantasy fiction author Ursula LeGuin in challenging her audience to envision a more just world. Walidah pointed out that the United States was founded as something of a utopia in the sense of ordinary people rebelling against an oppressive system in England. In turn, the Oregon Territory, encompassing the entire Pacific Northwest, was settled as a “racist white utopia.” Oregon, she pointed out, entered the Union in 1857 as a free state but also with a state constitution that excluded blacks. The state’s racist beginnings led, perhaps predictably, to the rise of the Ku Klux Klan and any number of policies and practices intended to perpetuate economic, social and political inequalities. More than 160 years later, the question remains of how to build a more just society. Last fall, the Portland African American Leadership Forum unveiled the People’s Plan, a 130-page document that addresses the needs of the city’s African American population. Walidah is an impressive figure, and not just because of her tall stature. As a public speaker, she seems comfortable in her own body and totally in command of her subject. I wish I’d started teaching at Portland State when Walidah was still there herself in the Black Studies Department. More recently, she has been teaching at Stanford University while immersing herself in a variety of writing and research projects. Walidah Imarisha’s image is projected on a screen in an overflow room at the Smith Memorial Union Ballroom at Portland State University. Putting a nice cap on the evening, I took my daughter out for drinks and appetizers after the speech. Simone is as socially conscious as they come and over the years she has gifted me several books that have exposed me to different authors and perspectives. What better way to close out the night than with mi hija, recalling different parts of the speech and catching up in general? We’re all dreamers, aren’t we? More than a week after I finished my first novel of 2018, I’m sitting down to gather my thoughts. There is so much good to say about “Behold the Dreamers,” the debut novel by Imbolo Mbue, a Cameroonian immigrant with some serious writing chops. And there are so many ways to begin this post. Do I reference President Trump’s ugly remarks last week about people from “shithole countries”? Or do I frame this in the context of the universal American Dream, the one to which generations of native-born and foreign-born Americans have aspired? Maybe it’s best to keep all three in mind, for Mbue’s novel touches on the sentiments of all of them — from crass ignorance and resentment of outsiders to the amazing work ethic and striving for a better life embodied by so many newcomers to the United States. Let’s start with the author. Imbolo Mbue is in her mid-30s. She hails from Limbe, a beach town of about 85,000 residents (a little smaller than Salem, Oregon) in southwestern Cameroon, a California-sized country in central Africa that borders Nigeria, and a former colony of Germany, France and England. Mbue has degrees from Rutgers University in New Jersey and Columbia University in New York City, where she now lives. She became a U.S. citizen in 2014. “Behold the Dreamers,” published in 2016, won the Pen/Faulkner Award for Fiction and was named one of the best books of the year by NPR, The Washington Post, The New York Times, The Guardian and several other news outlets. The awards are richly deserved. Mbue has written a book rich with insight into both American and Cameroonian culture, laced it with diction from her native country (a place where more than 200 languages are spoken, by the way), and delved into the minds and attitudes of people at both extremes of the socioeconomic scale. The story is a familiar one. Jende Jonga, a Cameroonian immigrant, has come to New York City with his wife Neni and their 6-year-old son, hoping to provide a better life for his family. Jende lands a job as a chauffeur for Clark Edwards, a workaholic executive at Lehman Brothers, but he also has the responsibility of driving Clark’s wife, Cindy, and their two sons on assorted trips across the city. Cindy at one point offers Neni temporary employment at the couple’s summer home in the Hamptons. With these dual sources of income, and with Neni taking community college classes in hopes of becoming a pharmacist, the young immigrants make do in a tiny, cockroach-infested apartment in Harlem but are nevertheless optimistic about their future in America. But there are two complications: Jende lied to Cameroonian authorities about his intentions in the U.S., so now he must rely on a sketchy legal adviser to help him gain permanent resident status or risk deportation, along with his wife and son. The other issue is that the story begins in the fall of 2007, a year before Barack Obama was elected president and the country was relatively stable. And timing is everything. As the story progresses, the Great Recession takes hold and Mbue presents the perspectives of both couples. From Cindy and Clark, we get the view from Wall Street and Manhattan; their affluence is beyond imaginable and the privileges that money brings seem to have no end. From Jende and Neni, we get the view of constant struggle; nothing comes easily, whether it’s navigating the immigration system, trying to understand the ways of their new country, or conducting themselves in ways that will impress white Americans, or at least not threaten them. With an extraordinary display of empathy, Mbue does not pass judgment on any of the four characters, She depicts their contrasting worlds — of the 1 percenters and of the newly arrived immigrants — not just through descriptive detail but also, more tellingly, through interactions and conversations between the husbands and the wives. The lives of all four characters are inevitably affected by the tanking economy, and that’s when things get interesting. Will Clark lose his job at Lehman Brothers? Will Jende lose his? How can Cindy maintain the appearance of a perfect life marked by material possessions and social outings with her equally rich friends? How can Neni stay on track toward her academic and career goals? The beauty of the book is that it raises fundamental questions about the American Dream for both couples. Just what defines happiness? Is it money? Is it a feeling of belonging? Does professional success guarantee contentment? Does making a new life in America mean forsaking the previous one you had in the country when you were born? To her credit, Mbue presents the humanity in all her characters, as well as the path of upward mobility traveled by both couples. But it is in portraying the multiple pressures on the Jongas and the excruciating decisions they must face about family, finances and their future that she really shines. I couldn’t help but read this book with a sense of appreciation for what immigrants have given this country along with a feeling of disgust toward those racist elements of our society that would gleefully slam the door shut on today’s immigrants — and even give the boot to DACA Dreamers. All of us who are here in the United States aspire to some version of the American Dream, the idea that each generation strives to create a better future for our children. We may differ in the value we place on various material, social and familial markers, but I think it’s fair to say we are all dreamers, aren’t we? Read more about Imbolo Mbue here. A recent email exchange with a fellow blogger about “being present” prompted me to dive into the Rough and Rede archives. This is what I found: an August 2009 blog post. No words. Just images and sounds to convey the ordinariness of human life — and its beauty. When you watch the video, please know the first 25 seconds are intended to be that way. Your patience will be rewarded. As one year ended and another one started, Lori and I found ourselves with enough free time to watch a few movies, both at home and at the theater. Florence Foster Jenkins. Took a stab at this on Netflix, based solely on the fact of knowing that Meryl Streep had been nominated as Best Actress — her record 20th Oscar nomination — for her role in this 2016 film. The unlikely premise: Jenkins is a wealthy New Yorker and patron of the arts who longs to become an opera singer despite an obvious issue: She has a terrible singing voice. Yet she’s encouraged by her voice coach and her husband, skillfully played by Hugh Grant. Meryl is marvelous in this based-on-a-true-story tale, making you want to root for her despite her dreadful voice. The Big Sick. A charming story, released last year and also based on real life, that centers on the cultural clashes that ensue when a Pakistan-born comic (Kumail Najiani, playing himself) falls in love with an American graduate student (Zoe Kazan) named Emily. Loving Vincent. This movie, also released in 2017, is both gorgeous and intriguing. This is a story that’s told in exquisite oil-painted animation — the work of more than 100 professional artists — and a plot that revolves around the mysterious death of the famous painter Vincent van Gogh. He Loves Me, He Loves Me Not. Imagine sweet-faced Audrey Tautou in the role of a young art student who’s in love with a married cardiologist — or at least thinks she is. Is the relationship real and reciprocal? Or wishful thinking? Why won’t the handsome doctor leave his wife for her? How does he explain the various gifts that come to his office, with no notes, and the messages left on his phone? Should his wife believe his claims that there isn’t another woman? Who’s in control? You or your device? I flunked. No doubt about it. Remember that pledge I made to “lighten up on the iPhone” this year and become “a smarter user about when and where to use it”? Yeah, that one. On Friday night, Lori and I went to see the Trail Blazers. They easily beat the Atlanta Hawks in a lopsided game that had people leaving early. I didn’t want to go, though, because I wanted to stay until the final buzzer, when the confetti rains down to signal a Portland victory. And, truth be told, I wanted to get a couple of photos to post on Facebook after the game. As he and Lori conversed, I found myself checking the remaining time on the scoreboard, wanting to be ready for the game-ending photos. The buzzer sounded and I got my pictures. We said goodnight to the couple and headed to the exit. After we got home and I’d walked the dog, I selected some photos, wrote an intro and posted them, and went to bed. Next morning I was surprised to see something had gone wrong. No photos. Was that a sign or what? I could have taken the time to re-post, but I had to ask myself: Why? Who needs to know that you were at the game? Who cares if Portland won or lost? And in that moment, I realized I had been a chump. Why did I think it was so necessary to capture this moment? I’d been handed an opportunity to engage in friendly conversation with a stranger, and I’d chosen to focus on a meaningless photo or two. While Lori seized the moment to be present, I only half-listened because my attention was elsewhere. Shame on me. I’d broken my resolution one day after I’d made it public. Though I’d already recognized the error of my ways, a column by The Oregonian’s Tom Hallman Jr. popped up in my Facebook feed and drove home the point. The piece describes the change of heart that Andrew Sullivan, a renowned journalist and author, had after shutting down his blog in 2015, after writing 115,000 posts and attracting millions of readers. 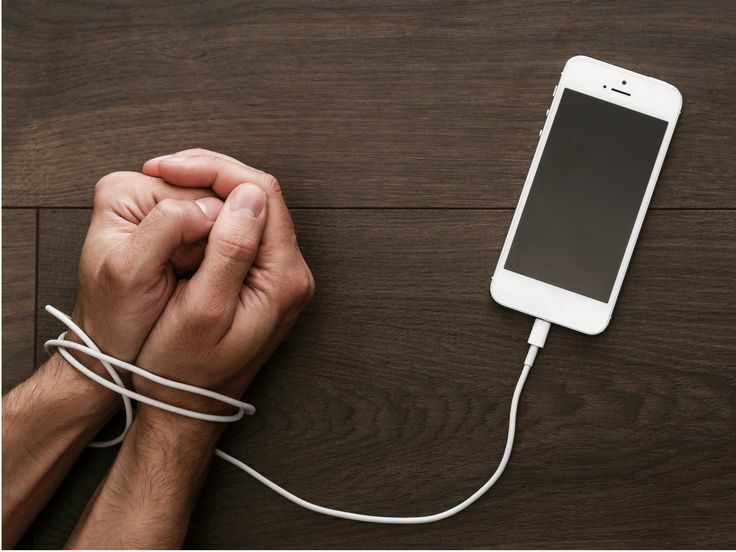 Sullivan contends that the phone, always accessible, makes us believe we are connected. Instead, it renders reflection and perspective more difficult, and blunts our capacity to capture moments with meaning. I thought about this on Jan. 1 when I stood outside to look at the supermoon, a term for when the moon orbits closer to the Earth and appears to be larger and brighter than normal. Instinctively, I reached for my smartphone to take a picture to capture the moment. And then I put the phone back in my pocket. That’s what I need to do more of in 2018. According to researchers at the University of Scranton, the three most popular New Year’s resolutions are to lose weight, get organized, and spend less, save more. All worthy goals, for sure. I’m keeping mine simple this year — simple as 1-2-3. Lighten up on the iPhone. The first two need no explanation. The third means I’m going to strive to cut back on habitual use of that handheld device. This means reducing, not eliminating, my use of the iPhone. This means generally just being a smarter user about when and where to use it — and why I’m doing so. It’s unrealistic to even think about severing the cord. As a communications professional, I rely on my phone for tasks big and small — texting colleagues, doing quick research, taking photos, checking email and keeping up with the news. As a consumer, it’s handy for maps, directions and business profiles, and a gateway to social media. But there’s a time for everything. And my epiphany came last month as I was getting ready for a massage. I’d just begun to unbutton my shirt when a text popped up. I picked up the phone, paused — and then put it down. It was from a co-worker. It was my day off. I was about to indulge in the luxury of an hour-long massage. Why would I even read the text, let alone respond to it at that particular moment? What would it hurt to delay reading and responding until after the massage? At that moment, I knew I’d work this into my resolutions for the new year. No more checking the iPhone before I even roll out of bed. More intentional, less habitual, use of the device. Q. How often do we touch our phones? A. Oh, only about 2,617 times a day? That means that people tapped, swiped and clicked 2,617 times each day, on average. The heaviest users did so twice as many times — 5,427 touches a day. Q. How about sessions—how many separate times a day do people actually pick up their mobile phone to use it? A. The average user engaged in 76 separate phone sessions a day. Heavy users (the top 10%) averaged 132 sessions a day. Paul Lewis, writing in The Guardian, says these signs of phone addiction aren’t healthy.